Business cards are regular work for a designer but they are low profit. You need to get them done quickly and efficiently. This vector pack comes with a wide variety of styles in different color schemes. 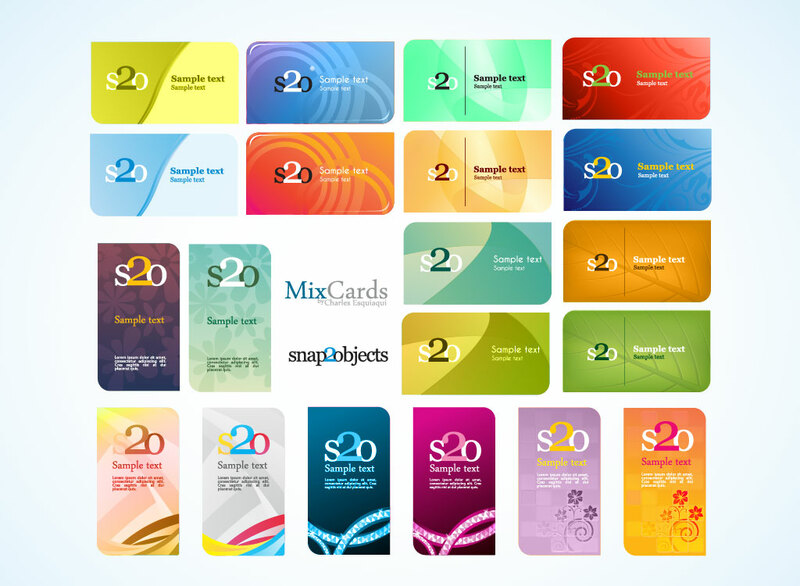 Great time savers and great inspiration from the designers at Snap2objects.com. Tags: Backgrounds, Branding, Business Cards, Design Pack, Element, Identity Kits.